NEW Red iPhone 8 drops and it's stunning | HELLO! April 09, 2018 - 19:26 BST Leanne Bayley Apple has just dropped a brand new iPhone colour to obsess over – the RED Special Edition. The new phone, with its stunning red finish, is seriously sleek. Choose from iPhone 8 or iPhone 8 Plus, and it’ll be available to order as of the beginning of Friday 13 April. Apple has just dropped a brand new iPhone colour to obsess over – the RED Special Edition. The new phone, with its stunning red finish, is seriously hot. Choose from iPhone 8 or iPhone 8 Plus, and it’ll be available to order from Friday 13 April - but prepare to see queues around the block as eager fans will be waiting to get their hands on the limited edition red phone. If you do buy one of these, you’ll be giving back because a portion of proceeds for all (PRODUCT)RED purchases go directly to Global Fund HIV/AIDS grants that provide testing, counselling, treatment and prevention programmes with a specific focus on eliminating transmission of the virus from mothers to their babies. 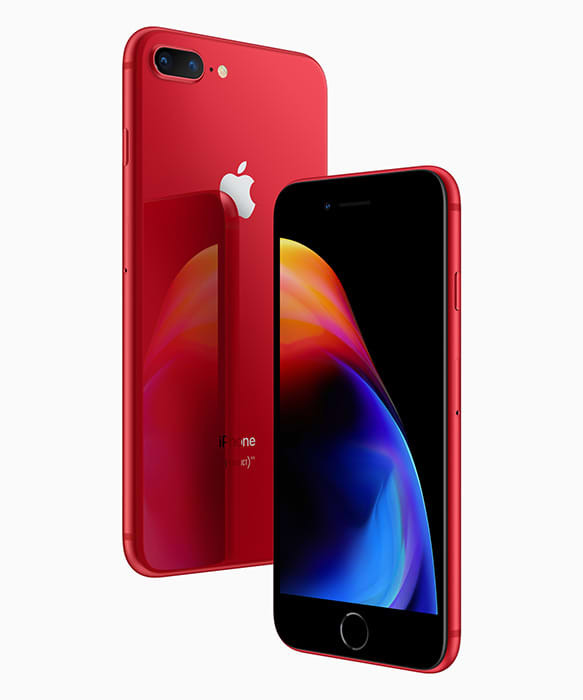 “This special edition (PRODUCT) RED iPhone features a stunning red and black colour combination and also offers customers the opportunity to make an impact in fighting the spread of HIV and AIDS,” said Greg Joswiak, Apple’s vice president of Product Marketing. Apple has been working with RED since its conception in 2006. The iPhone 8 and iPhone 8 Plus (PRODUCT)RED Special Edition will be available in 64GB and 256GB models starting at an Apple retail price of £699 from Apple.com, the Apple Store app and Apple Stores.